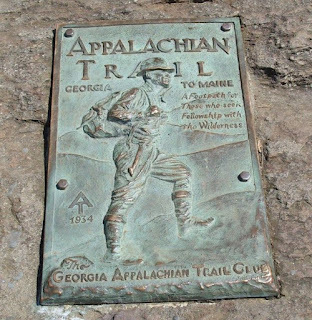 Today marks the 75th anniversary of the Appalachian Trail, the 2,184 mile foot path running through 14 states along a route connecting Springer Mountain, Georgia to Mount Katahdin in Maine. The brainchild of naturalist Benton MacKaye, the white flashes on the trail guide through hikers who traverse the entire length of the trail as part of a six month trek. For the rest of us, many portions of the trail are easily accessible for day hikes and weekend excursions. Georgians can enjoy the 75 miles of the trail in our state via park-and-walk access from several major roads. Weekends are a busy time on the trail, so try to slip away on a weekday when you can. Thanks to the members of the Georgia Appalachian Trail Club for their work maintaining the trail and its environs.